​What's in our wet dog food? Proteins are necessary for all aspects of your dog’s growth, development, energy levels and the immune system. A high protein source contains essential amino acids for your dog. Proteins are burned as calories and can be converted to and stored as fat. 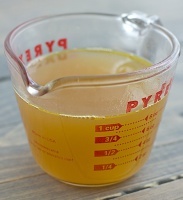 Vegetable broth provides the moisture level required for the product so that it is suitable for your dog’s digestion. This is a natural source of both Vitamin C, which may boost your dog’s immune system, and Vitamin A, which may help with their vision health. 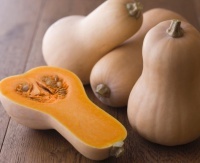 Butternut squash is low in calories and also contains fibre and potassium. These contain natural sources of Vitamins A, C, D, E, K, B1 and B6 – promoting the general well-being and vitality of your dog. 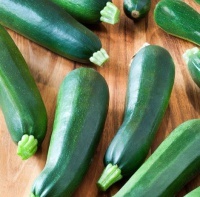 Zucchini is low in calories and a natural source of potassium and Vitamin C. Potassium is necessary for the proper functioning of enzymes, muscles, and nerves. 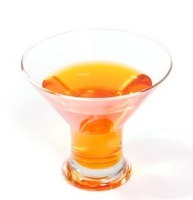 It also maintains a proper fluid balance throughout the body. This includes natural sources of zinc, beta-carotene and fibre, which is great for your dog's digestive track. Spinach contains natural sources of vitamins as well as iron, calcium, folate, magnesium, phosphorus, copper, manganese and potassium - providing antioxidant protection which may help to fend off inflammatory/cardiovascular issues and cancer. 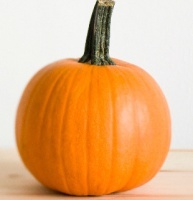 ​Necessary for a complete balanced food. Coconut has various antibacterial, antiviral, antifungal and antimicrobial properties. It is made up of a beneficial fatty acid chain called Lauric acid and also contains albumin, a water-soluble protein. Coconut promotes sleek and glossy coats, and may also be useful in alleviating skin conditions such as eczema, flea allergies and itchy skin. 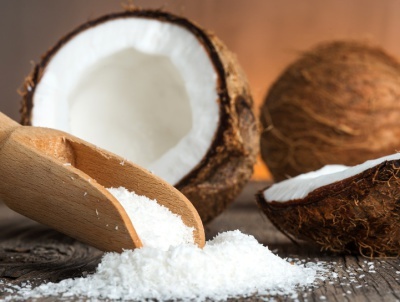 Coconut may also help with arthritis/ligament problems, reduce bad breath and doggy odor, as well as regulate and balance insulin and thyroid levels. Salmon oil contains important EPA and DHA Omega-3 essential fatty acids, which unlike plant-based Omega-3 products (such as flaxseed), are readily processed by the digestive system. The possible benefits of salmon oil in your dog’s diet include: anti-inflammatory properties, helping to regulate the immune system, improving cognitive function in older dogs, fighting heart disease, preventative against cancer, promoting weight loss in overweight dogs and helping with Inflammatory Bowel Disease. 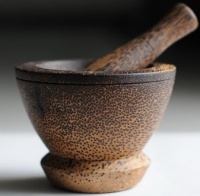 These herbs are high in antioxidants and flavonoids, containing natural sources of vitamins and minerals, which may help with digestive problems. 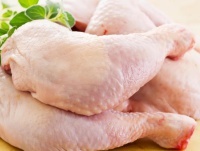 They also have antimicrobial and antiviral properties.